Today is Day 21. 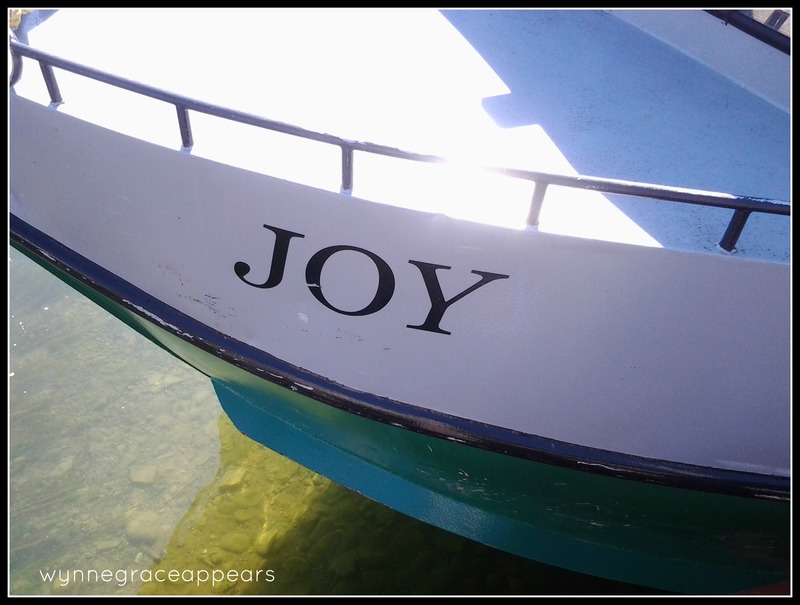 And its all about JOY.To read the collective tread lightly over here. Am I the scatterer of, stumbler of the stumbled on? Do I throw it out for seekers and needers starving for joyers? Am I the depleter of or replenisher of? Has He not provided like mana, the morsels of Joy enough to feast on, then re-stock the life shelves with? When will I be the Joy in the life of the hungry for? When will I take my portion and give it back to the malnourished in sadness, the Joy-starved? So Today I choose Joy. And look to pick up with a cheerful heart, renewing the heart with gratitude. And knock the socks off others with the Joy that I have so graciously been given. Strong Joy, meaty Joy, pulsing the veins,the life-blood, beating the heart, filling the soul. Today I choose, for me and my house, JOY. She sings like music to the ears of a weary one. Transforms the death march into the dance of joyous celebration. Trumpets the return of living. Joy the re-storer of dry-bones death. Ode to Joy, a Alleluia Chorus of Praise for the hearts of the weary women. Leaning into the Joy of the Lord, a walking cane, a brace, my rod and staff. And L.L. Barkat for In On and Around Mondays. 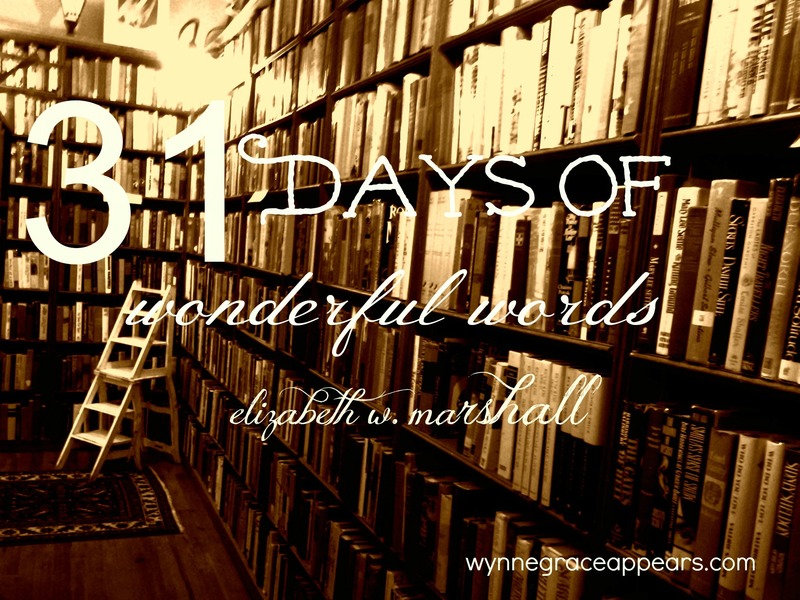 Elizabeth, you have so beautifully demonstrated that joy is the outcome of choice. I think we so often want happiness and expect it to just come to us as we sit there passively waiting for it. But JOY! It is always a possibility. It is such an amazing reward for faith, this joy business. May we continue to spur each other on to choose it, to count it, to live it. this reminds me of the children’s chorus, JOY, JOY, this is what it means… Jesus first, yourself last , others in between… great post! Continuing prayers for you. Blessings to you too. 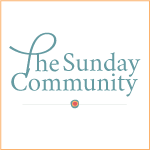 Hope to see you around on Sundays and Mondays and other days too. Thanks for you passionate words. They fill me up on this Monday. Favorite part of this post? The picture on the bottom. 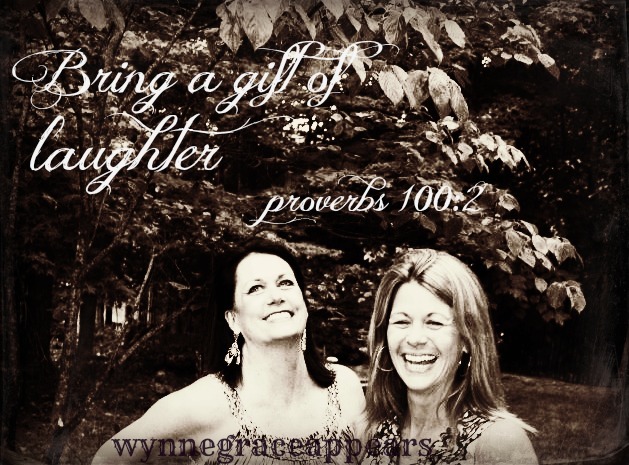 Beautiful laughter, beautiful joy. I love this series you are doing! And joy, oh how I want it to ooze from every pore! Thanks for these inspiring words! Perhaps my life’s most altering moment: when I saw Light in the midst of despair and heard the loving invitation to choose this Joy for real. And I keep on trying day by day to choose it. Thank you for this post, my friend. I needed it. Perhaps my favorite of the series. This line: “Strong Joy, meaty Joy, pulsing the veins, the life-blood, beating the heart, filling the soul. Today I choose, for me and my house, JOY.”… Yes, sister, yes! WOW, thank you. Yes I like to choose to sulk and pout, but Joy is no doubt the way to go. I think the Lord delights in our going that way too. 🙂 Your piece at Amber’s today was a mighty work of the heart. I love this. I choose joy, too! We choose joy together. I like that, two elizabeth’s choosing joy. Sounds like a good thing. Such a beautiful post…and I couldn’t agree more! Ah the sun is shining today and I am looking around for the JOY. Readers reacted to sweetly and strongly. It is important, this business of JOY. Thanks for being here. Its great to meet you. Dolly, yes that is me on the left with my sister. We laughed and we giggled so hard when we were together in the Spring. Thank you for noticing. Choosing joy with you, friend.